California has great weather and amazing beaches, but what else makes this state a great place to live, and what are the compromises? People living in California tend to be healthy eaters and this is reflected in the abundance of natural restaurants. If you want to stay away from sugars and processed foods you can easily find a restaurant to accommodate you. It is no surprise the state has one of the lowest obesity rates in the nation. Due to the health consciousness of the Golden State, the people are often stereotyped as being extremely concerned with their appearance. This criticism may, or may not be true, but after all, who wouldn’t want to have a good physique when the sun is almost always shining, and the typical attire is shorts and flip flops. In fact, flip flops are the shoes of choice for most California college students. The sunny state is home to many great universities such as UCLA, USC, UCSB, UCSD, Stanford, and Berkeley. In case you weren’t aware, Stanford is rated the fifth best college in the nation according to USNEWS. With this type of high-caliber education, every year, California is putting extremely talented and well-educated graduates into the workforce. Also, California’s diversity is not likely to be found in any other state. According to Chapman.edu the California cities of San Francisco, Vallejo-Fairfield, and Stockton are the three most diverse cities in the country. Realistically, you don’t have to leave the state to experience other cultures. The access people have to the beach, the sun, and the snow all in one state is another positive. If you are the adventurous type, and you love the outdoors, California is definitely the place for you. Hiking and other outdoor activities are something people living in California love to do on a regular basis. Other outdoor events like Coachella, Lightning in a Bottle, Outside Lands, Stagecoach, and Bottle Rock are all highly popular music. Here you will also find CA’s famous food trucks: Cousin’s Main Lobster, the Grilled Cheese Truck, Kogi BBQ, and more. The state’s two favorite drinks, coffee and wine, are beverages they take seriously Californians love their coffee, and it is all made to perfection. Wine is also a huge in the state. People love to visit Napa Valley, Temecula, and Sonoma for great wine tasting adventures. If you grew up in California, or have been living in California for a while, burgers may not seem like such a big deal. If your visiting from another state, you will understand why In-n-Out burger is one of the most popular fast food restaurants in the state. This popular chain goes out of their way to make their fries healthy; they slice the whole potato right in front of you before they cook it in all natural zero trans-fat oils. Plus, the Mexican food in California is second to none. Californians will tell you that it is hard to find better Mexican food anywhere else in the United States. California has many great sights to see. The Hollywood Walk of Fame, the Golden Gate Bridge, Alcatraz Island, Universal Studios Hollywood, Disneyland, Disney California Adventure, and the Yosemite National Park are just a few of the wonderful things to see. While living in California, you will always have a sports team to cheer for as the state is comprised of nearly twenty different professional teams. In addition, California is home to some of the largest publicly traded technology companies in the world including Google, Apple, and Facebook. The jobs at these technology companies pay incredibly well. Other California based companies include Chevron, Intel, Hewlett Packard Enterprises and Wells Fargo. Unfortunately, Californians do have to deal with disasters such as fires, mudslides and earthquakes as well as high-priced real estate. The cost of living in California is incredibly high and, the price to live in California will continue to increase. 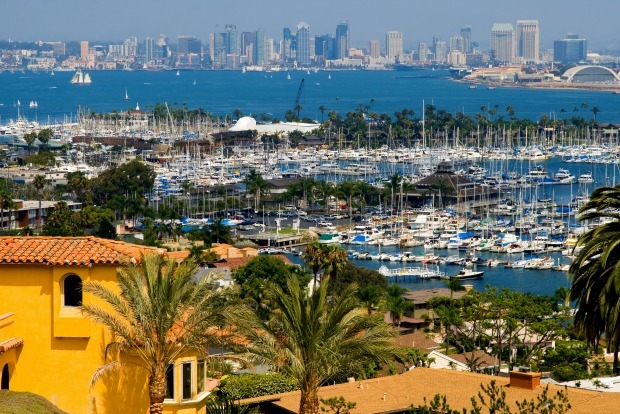 According to the financial website smartasset.com, the median home value in California is $366,400, while the median home value in the United States is $176,700. California also has the highest state income tax rate in the nation. In 2017, California was ranked one of the worst states to do business in for the 12th straight year. California is historically liberal. If you are conservative, you might not be able to find to many like minded individuals living next door. California is large, and according to a 2016 estimate, California has 39.25 million people living here. To put this number in perspective, Canada had a 2016 estimated population of 36.29 million and New York City has just over 8 million. Some people view California’s population as a negative aspect of the state, suggesting the state is too crowded and too overpopulated for anyone to live comfortably. In 2016, California was also estimated to have the nation’s highest poverty rate, with just over 20% of California residents living in poverty. Californians will often argue that San Francisco and Los Angeles are two of the greatest cities in America. However, they will brag about how great these two cities are while simultaneously complaining about the traffic, smog, and car culture,. Unfortunately, areas such as Oakland have one of the highest violent crime rates in the nation. San Bernardino county recently came out of bankruptcy after being cash-strapped since 2012. California is ranked as the state having the worst quality of life according to Fox News. Yet, in the end, college students can successfully transition into living in California by completing their education and get a high paying job. California is not a cheap place to live, but as a student, or recent graduate, you do have the ability to set yourself up for long term success living in this great state while waking up to sunshine, shorts, and sandals! John is studying Business and Entrepreneurship at ASUB, and looks forward to pursuing financial planning as a career. His background includes tax preparation for Jackson Hewitt Tax Services in Ventura and he currently is an employee at Antioch. In his free time John enjoys watching Netflix series such as Stranger Things, Mind Hunter and Black Mirror. He is a big fan of basketball as he was a member of IV A CIF championship basketball team. John received his AAS in Computerized Accounting from Charter College.